Ever clever & still ever clear. 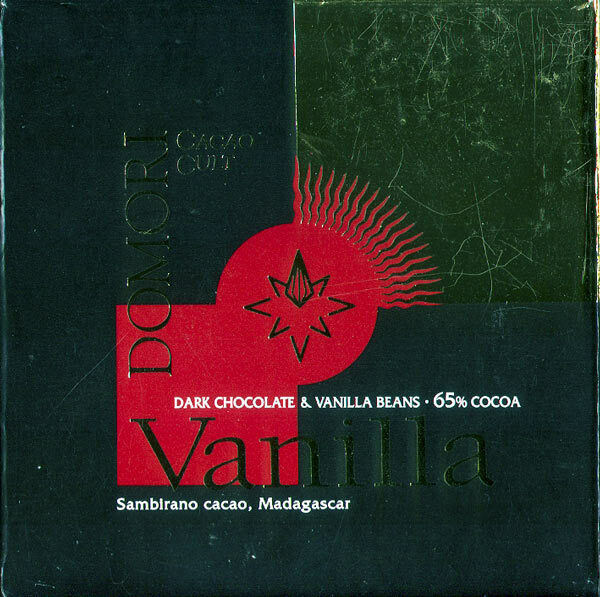 Ever the truth-seeker / truth teller, Domori extends his purist / minimalist tendencies to proclaim vanilla added to cacáo makes a ‘flavored’ bar. (Will zealots decrying the U.S. FDA allowing bars containing vegetable oil to be labeled ‘chocolate’ also crusade against vanilla?) One of the best disguised Madagascars on the market has its own ingeniousness – fronting for what that island is most famous: producing & supplying half the world’s other bean - vanilla. Sweeter, stronger, more substantial version of Amedei’s stunning yet elusive Madagascar. As much as vanilla grabs the spotlight, the 1/3-ton invisible gorilla is the felt presence of sugar removing the brassiness often found in this origin.